The nights are long, the days are comically short and it is bitterly cold. Here I am wondering what the hell happened to the past year? It disappeared in a puff of smoke, blitzed past us in a whoosh of reviews and events. 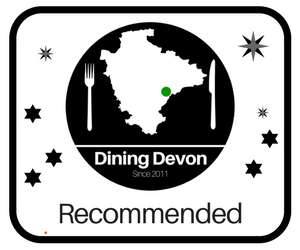 Eating Exeter turned in to Dining Devon, with our new URL www.diningdevon.com being our main address, we expanded our horizons to encompass the whole of Devon! This year personally for both of us has been quite a big one. I have had a lot of ‘Life’ events happening which has taken my attention away from the blog during points of the year and each time I say ‘thank goodness for Lauren’ who has dutifully kept everything churning along. Thank you Lauren! Writing a blog is a bit like having a really awesome part-time unpaid job. It is a bit of an undertaking. I start to realise this when some people say ‘how do you do it all?’ when I tell them that I have a full-time job too. But the love and passion that both Lauren and myself have for local food, eating out and independents keeps the fire burning! 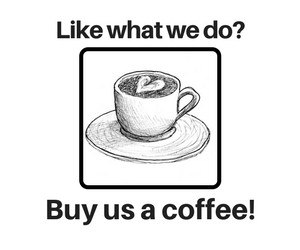 Despite the fact we do this for the love, we are looking at ways to monetise what we do through advertising and our Merch Shop. Lauren had the honour of visiting Michael Caines’ brand new luxury boutique hotel that opened this year. It was a special first peek at this amazing development which saw Courtlands House – previously a wedding and event venue – transformed into one of the region’s most exquisite dining destinations. Crafted by the hand of the legend himself, Michael gave the party a sample of some of the epic food that diners can expect when they come to Lympstone to dine or stay. Lauren was joined by Steph from Exploring Exeter. I visited this hidden gem of a pub and had a delicious meal, cooked by the talented Mike Welsh. This friendly community pub is serving amazing food at great value, did I mention they do take-away pizzas too? I really love what this pub is doing and thoroughly recommend it as a place to try. In March, Lauren was invited over to The Pig at Combe to experience their private dining offering. We visited ourselves last year for lunch and it was absolutely amazing! The event took place in a candlelit basement under the historic Combe House in one of their private dining areas. In April, Lauren went on a nano-vacation to Torquay. To be precise, The Grosvenor Hotel with its restaurant headed up by John Burton-Race. The hotel has now been renamed John Burton-Race: Restaurant With Rooms. A fine JBR meal and a look around this exquisite hotel. Read our 10 Questions with John here. Ever since it was announced, I was completely over the moon to hear the news that we were receiving a branch of Polpo. We attended the opening event and met the lovely Russel Norman, mercilessly interviewing him for our podcast! The evening was an absolute delight, we met the team behind Polpo too and sampled some amazing dishes. I was honoured to be invited to the South West Chef of the Year: Grand Finals for 2017 which was held at Exeter College in October. The talent was amazing, the competition was tough and in the end Robert Cox of the Tudor Farmhouse Hotel and Restaurant in South Glouscestershire came away truimphant. The experience was fascinating and exciting! We hope to bring you loads more fantastic events and reviews throughout 2018 and beyond! Remember to subscribe to our social media channels to get the latest foodie news straight on to your timeline!